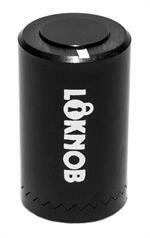 13129 NEW UNIVERSAL Loknob NEW 1/2" OD silver fits most pots. 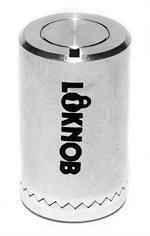 NEW UNIVERSAL small 1/2" OD all silver LOKNOB machined from 6061t6 aluminum and built to last. Fits most pots. great for applications with limited space like boss style pedals and mixing boards. 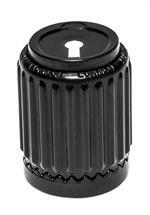 NEW UNIVERSAL small 1/2" all black anodized LOKNOB machined from 6061t6 aluminum and built to last. Fits most pots. 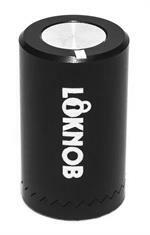 great for applications with limited space like boss style pedals and mixing boards.